How Long Until Watching a YouTube Video Counts as a View? Different video providers count views in different ways. Videos hosted on Facebook count a view after a mere three seconds, taking advantage of both short videos and the short attention spans of people scrolling through their feeds. If you’ve ever wondered why a Facebook video seems to rack up way more views than a YouTube video, that’s why; people merely scrolling past the video with autoplay enabled will count as a view, whereas YouTube views have to be much more intentional actions. Personally, I think Facebook will have to change that before too long, since it leaves them open to view spamming and inflationary abuse, but that’s neither here nor there. Today I’m discussing, primarily, YouTube. As one of the oldest surviving video hosts, and by far the largest, YouTube has had to content with pretty much every possible form of scamming by people looking to get ahead on the platform. One of the most common metrics to inflate is the view count, because it ties into the recommendation engine and the perceived influence of a video. We want to make sure that videos are being viewed by actual humans and not computer programs. During the first couple of hours after a video has been published, we’ll only show views that our systems believe to be valid. This might not yet show all legitimate views at the time. After quality views are counted, view count updates more frequently. The process of including all quality views can take some time depending on a video’s popularity and viewership. Afterward, the view count updates more frequently, but keep in mind that we’re constantly validating views, so view count can always be adjusted. On some videos, the view count might seem frozen or not show all the views that you expect. Video views are algorithmically validated to maintain fair and positive experience for content creators, advertisers, and users. To verify that views are real and accurate, YouTube may temporarily slow down, freeze, or adjust the view count, as well as discard low-quality playbacks. One thing you’ll notice here is that nothing they say is, well, specific information. That’s because Google has learned time and again that when you reveal the actual, specific limitations or requirements for something, people will do exactly what they need to do to meet those requirements, nothing more. Neither creators nor viewers are given information about what counts as a view. Another thing to note is that last bullet point, the one about a frozen view count. If you remember a few years ago, you would commonly see low-viewer videos stuck at 300, 301, or “301+” as a view count. This was the threshold YouTube used for their video audits. Any video under 300 views, they just didn’t care about. And, well, when you’re running a site that processes and uploads 400+ hours of video every minute, you learn to prioritize. 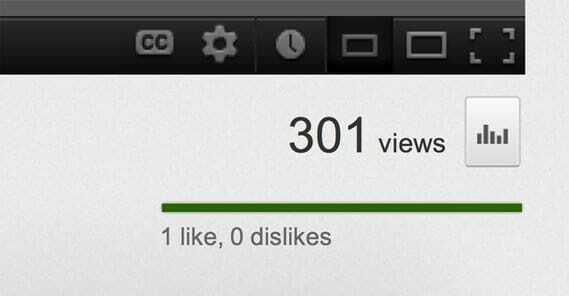 When a video hit 300 views, YouTube would freeze their view count and perform an automatic audit. It would look at historical recorded data on the views that came in and would removed the bad ones, then let the view count go free. Generally, this was the only single freeze audit, after which the video would just get random automated passes now and then. This is why view count would rise and fall, seemingly with no regard to the actual traffic the video got. This is a relic of a past age. YouTube upgraded their video audit algorithms some time ago, and the view count no longer freezes. Every video is simply audited as it goes. So, with YouTube refusing to publish what counts as a view, what have marketers and leaks combined to tell us? The generally-accepted number for watch time to count as a view on YouTube is actually a full 30 seconds. This has been tested and circulated for years, and is published in major guides like this one from Buffer, so I’m going to go ahead and assume it’s as accurate as we’ve got. You can perform a 30-second test on your own, if you like. Set up a video and set it as unlisted, so you don’t get public views. Then, using a computer or phone in a different location and a different account – one not tied to your creator account – watch the video for 10 seconds or so. If you check, this won’t count as a view. If you repeat the process with a different account still, you’ll find that a view longer than 30 seconds will typically count. I say typically because, well, YouTube has some automated scanning in place, and there are some other factors that will invalidate a view that would otherwise last long enough to count. For example, if you view the same video multiple times per day, it will eventually stop counting views. YouTube knows that sometimes you see a funny video and want to replay it for a friend, and that will count. They also know that a lot of videos, like those for songs, often get repeated plays from people who enjoy the music. Repeated views in the same day will count, up to a point, but after three or four or five of them your views will stop counting. This is to prevent repeat view spam, of course. There are also account tracking elements. If one account seems to jump from video to video without using the recommended videos engine, just going from seemingly random video to video, watching all of them for exactly 35 seconds and then moving on, that’s a pretty sure sign that there’s a bot doing the watching. That, and other bot-like actions, will often invalidate the views from an account or IP address. 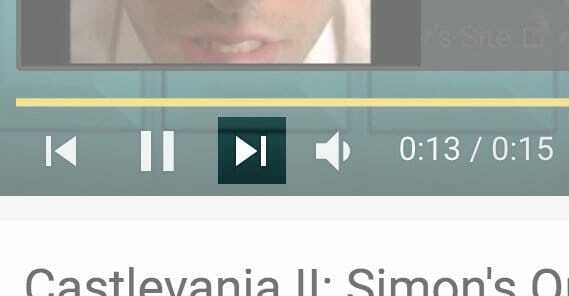 What about skipping through a video? If you have a five minute video and a user watches three different ten-second segments of it, it’s possible the view will count; after all, the viewer was watching parts of the video. However, sometimes it won’t, and there’s not much rhyme or reason to it. Other factors come into play, I assume. What about shorter videos? There are plenty of Vine-style short videos under 30 seconds long. If it takes 30 seconds for a view to count as a view, do 10 second videos never accumulate views? That’s absurd, of course. This classic video from 10 years ago is only 11 seconds long and has 4.3 million views. For videos under 30 seconds in length, I assume that YouTube just counts whatever isn’t obviously a bot. They might have a percentage-based requirement, but I doubt the get down to measuring fractions of a second to audit views in short videos. The only time the 30 second limitation comes into play is in monetization; in fact, videos under 30 seconds in length cannot be monetized through AdSense. My guess here is that AdSense doesn’t want to have to deal with extreme view auditing on short videos. With 30+ seconds of view, Google has plenty of data to analyze whether a view is legitimate or not. 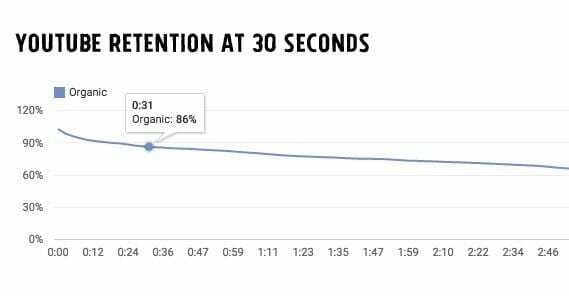 With shorter views, they have less data, and under 30 seconds for a video is simply not enough. 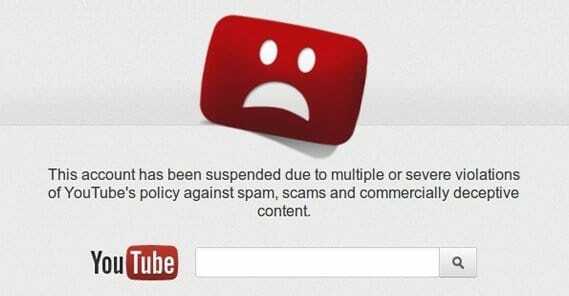 Those videos would be too problematic to deal with auditing, so they simply disable monetization for them. What Makes a View Bad? I’ve mentioned a couple of causes for a view to be filtered, like the view coming from a user that has repeatedly refreshed or replayed the video, or coming from an account that is performing actions that indicate that it’s a bot. What else can flag a view as false? One possible cause is if Google correlates the source of the view with their known database of malware. Believe it or not, there are computer viruses that simply open browser windows positioned outside of the monitor or otherwise hidden, and use them to play monetized videos. The video owner makes money and, if their virus is undetected, the computer owner is none the wiser. Google tracks this – and other malware that embeds videos off-screen on websites – and blocks the validity of views coming from those sources. Google will also monitor for comment spam on videos. Spam comments aren’t just a nuisance; they’re a warning flag for Google. Views that come from accounts that leave spam comments are removed, because they’re obviously coming from spam bots. Views also typically don’t count when the video is embedded with autoplay enabled. Embedded videos that do not automatically start the video will count their views, because the view is initiated with a user action. Google will count views from auto-next playlist playing on YouTube itself, counting both the playlist functionality and the newer recommended video “play next” feature. Rather than cutting off the validity of those views, YouTube simply stops autoplaying after a while if there’s no user interaction on the page. Why are fake views bad, anyway? Well, there are a few reasons, but likely only one YouTube actually cares about. Fake views make content creators feel like they have more exposure than they do, which might cause them to question the lower ROI on the site, in engagement, traffic, and monetization. Fake views push videos into the recommendation engine, which means videos that don’t deserve more circulation end up more widely circulated, and people start to mistrust the recommended videos. After all, if you watch something you like and Google says “hey, you’ll like this” and links you to some clickbaity spam, are you going to trust them enough to click on future recommended videos? Fake views hurt advertisers. Advertisers are paying for views and for clicks on YouTube. Fake views mean the content creator earns when they didn’t deserve it, and it means the advertiser pays when they got nothing out of it. It devalues the whole system, meaning content creators and Google both make less money, and advertisers are less willing to spend money with the site. In case you didn’t know already, it’s that third one that really makes Google’s blood boil. Anything that hurts their precious monetization is cracked down on quite hard. Sellers around the web, from sites like Fiverr and merchants on Black Hat World, sell video views as a service. The key thing to know here is that the cheaper the seller, the worse the views will be and the more likely they are to be filtered. When you buy views, it’s entirely possible to buy legitimate views. After all, what else are you doing with a PPC ad network? Some sellers simply have their own means of promotion independent of major ad networks, and are monetizing those methods. The views are legitimate, and you never see a negative action because of them. Other sellers sell bot views, doing the bare minimum to keep those views registering as legitimate. Sometimes they fall below the threshold and are filtered. Sometimes they’re all filtered, in which case you lose your entire investment. Now, one of the big worries when Google implemented the Penguin algorithm for website SEO was “negative SEO.” Negative SEO is the idea that I could buy 10,000 spammy links to point at your site and your site would take a hit to its SEO because of it. 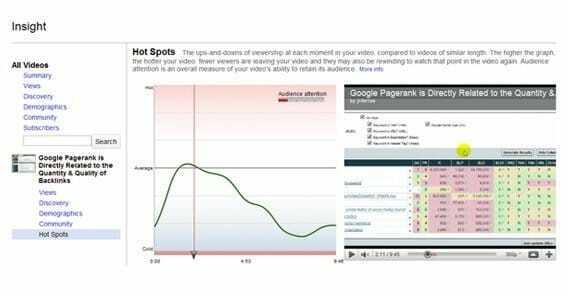 While negative SEO for the web is rare and mostly doesn’t happen, negative SEO for videos certainly can. People can buy views for videos they don’t like, and if those views are bad enough, it’s possible that Google can filter or remove those views completely. It all depends on the quality of that view, and if it is a bot or an actual human viewing the video. They’re tougher to trick than you might think. I ran a test, I uploaded a private approximately 1 minute long video. I did a mix of watching/refreshing 18 times for less than 10 seconds, each time trying to hit a range of watch times (1, 3, 5, etc.) within the 5 minutes not logging out of my personal youtube account and each one of the views was counted… So I am not sure if this ’30-second’ rule actually counts, unless it is only applied to videos over 300 views. It is only applied for videos over 300 views, since getting 300 views by bots or other fake methods won’t influence the system much. Youtube is not television. They can set rules for viewers, how to view a show but It is not credited by any network or television entity. Even if you watch a t.v. program while browsing online – it is not counted. The viewers are people who are loyal to the tube. The key is viewers. Viewing something is not watching something – if your a viewer your Not watching for something in the program, your simply viewing to See if the show is still on even though you stoped watching it. You could actually watch the television to view if they Cancelled a program you hate. But that’s not counted. That was very useful – far more useful than the short official YouTube support page which did not give much useful information. Could you please write a similar detailed blogpost on how Facebook counts views, how its algorightms work, how it earns money, how people purposely and accidentally game the system? How about the quality of the video does it affect the amount of views? just like running for 30sec. Hi Stake! YouTube definitely does filter out lower quality views (very short views, bad browsers, bad IP ranges, suspicious clicks or browser movement, etc). They are also most likely less trusting against views from users who aren’t signed in, and I would wager that those views are more likely to be filtered than from users who are signed into Google accounts. I hope this helps!